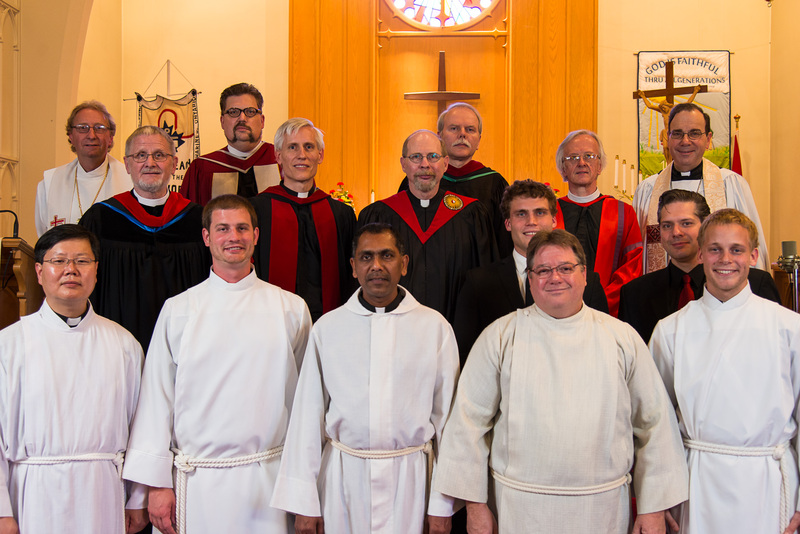 The seminary’s annual Call Service will take place at Christ Lutheran Church, 140 Russell Ave, St. Catharines, on Saturday, 30 May 2015, 4.00pm. We heartily invite members of LCC, and especially friends and family of the graduates, to attend this festive event. One graduating pastoral student (James Preus) and one PAT candidate who has completed his studies at the seminary (Joseph Singh) will receive their first calls. Another student may be placed, pending completion of requirements. Three vicars will also receive their placements. The graduate’s brother, Rev. Stephen Preus, will be guest preacher for the occasion. The service will also honour Mr Gordon Martens, a member of St John’s Lutheran Church, Warman, SK, and long-time member of the Board of Directors of Lutheran Bible Translators–Canada. The faculty and Board of Regents have chosen him to receive the Delta Chi (Servant of Christ) award, the seminary’s highest honour. The seminary will also give thanks to God for 15 years of full-time service by Dr William Mundt, who will retire from the seminary in June 2015. His friends, family, and former parishioners are especially invited.